Burger joints seem to be popping up faster than you can say “medium-rare, please.” It seems the yogurt trend has come to a halt and the new thing is burgers. Between Five Guys (I’ve never been) to Burger Fi (now experimenting with the pop up lounge concept – oy vey) and beyond, it seems there is no shortage of places to get a fast food, decent quality burger. 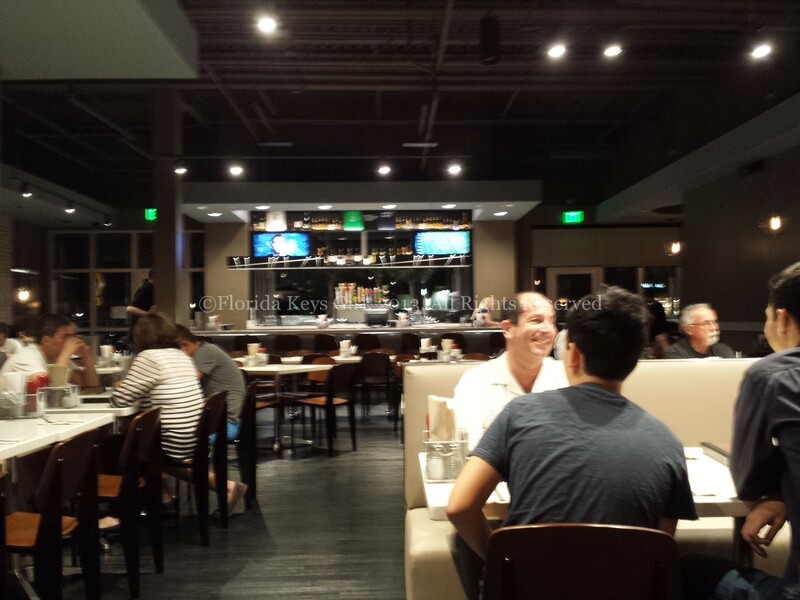 So when the folks at The Counter invited me to try their newest location in Aventura, I was skeptical. Ahi tuna yumminess, topped with avocado, tzatziki and lots of veggies. But this is, essentially, a burger joint. Yes, they have salads, and a few sandwich choices, but the thing here is the burger. From traditional beef, to bison, veggie, chicken or Ahi tuna, the selections are seemingly endless. You can select one of their signature Burgers in a Bowl, served over salad, or the Expert Builds, already created combinations, so you don’t actually have to make a bunch of decisions if you don’t want to. 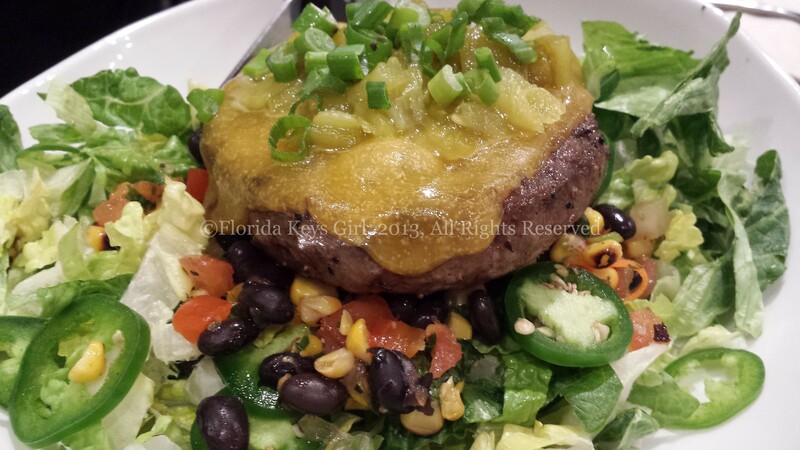 FKGuy tried the Southwestern burger in a bowl, a beef burger over lettuce with cheddar, jalapenos, black beans, green chiles and corn salsa. I decided to build my own burger, which ended up an Ahi tuna burger over kale salad, with tzaziki, spicy pickles, tomatoes, onion, sprouts and a side of sweet potato fries. One of my pet peeves is calling things “burgers” just because it is a hunk of protein slapped between a bun. Here, the Ahi is a real burger, chopped, and formed into a patty, fresh and delicious. The fries were not at all greasy, and delicious. The kale salad, on the other hand, was a bit of a disappointment. It was, essentially, just a bunch of raw kale, in big pieces with no dressing. Next time, I’d get the lettuce blend, and there will undoubtedly be a next time. 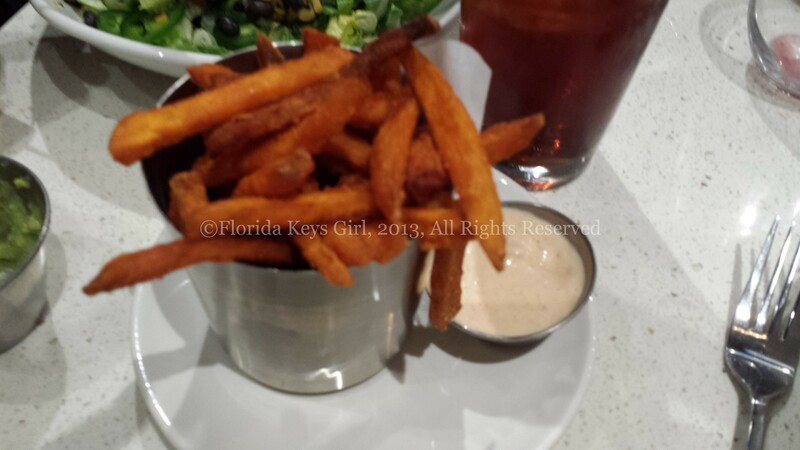 Sweet potato fries – a must at The Counter! 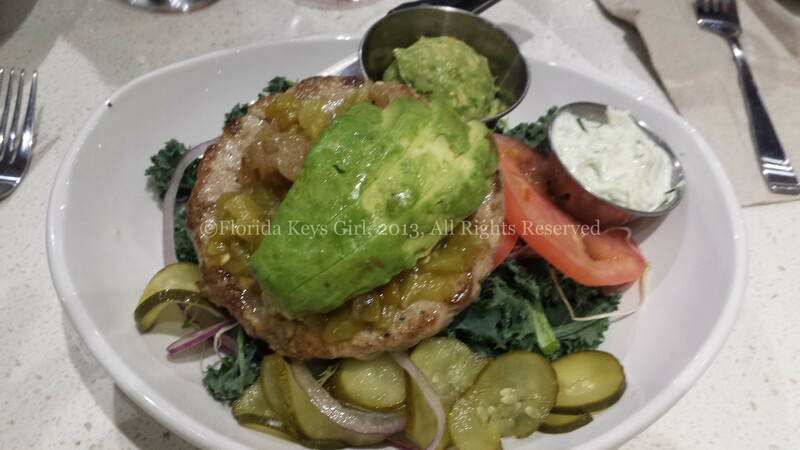 located at 18717 Biscayne Boulevard and is open every day for lunch and dinner. Give it a try, you won’t be disappointed. This sounds like my kind of spot. I shall try it soon! You should! It was really good! Wow, how did I miss this place? It’s like 3 blocks from my apartment. Can’t wait to try it.